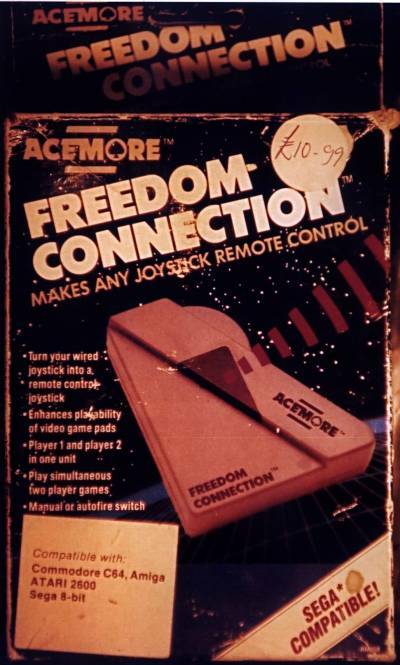 The Freedom Connection is an Infra Red (IR) joystick adaptor. The dangle the triangular section around your neck and plug the joystick into it. 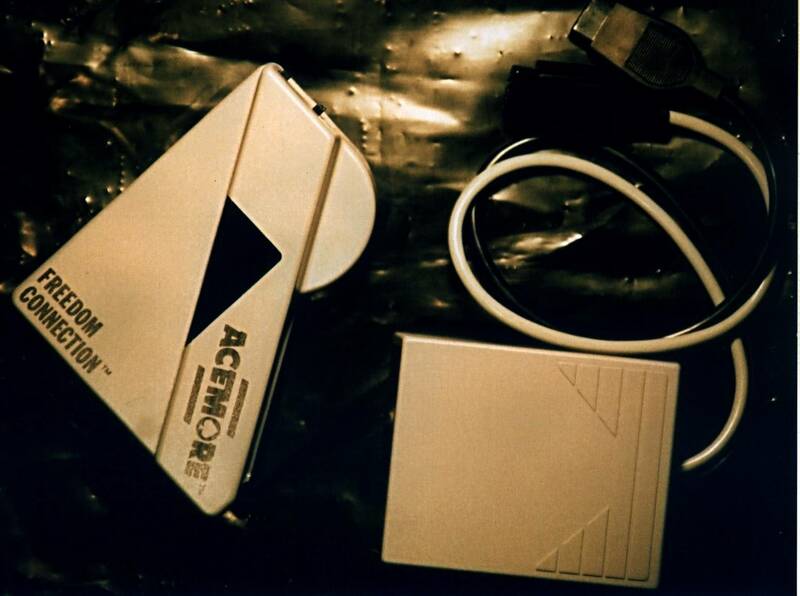 The rectangular section is plugged into the Amiga and is the receiver. There are two transmittors and one receiver so presumably it supports up to two joysticks.